Prices include US shipping, which will be sent via USPS. No international shipping...I don't have time/interest in dealing with the customs headaches at this time. I will mark off gear as it is sold...if the price is there, it's still available. E-mail me at teotwawki.blog@gmail.com with "Garage Sale" in the e-mail title if you want to buy something. Payment will be via PayPal. Unless otherwise noted, gear is in excellent shape. 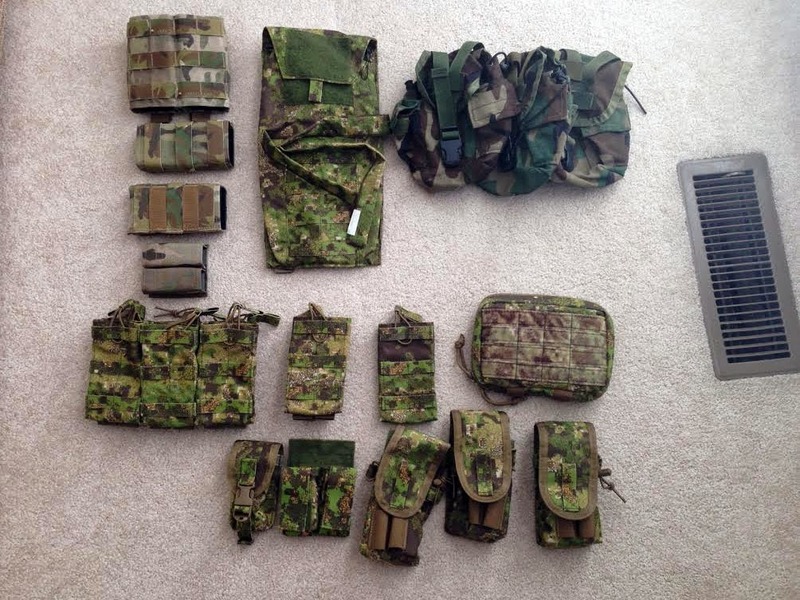 KYWI pouches in Multicam from ESSTAC. These are widely regarded as the best open top mag pouches for AR mags. 500 pieces of once fired 40 S&W brass. Unprocessed, unpolished, mixed headstamp, hand sorted. Some nickle, mostly brass. From an indoor range that does not allow reloads. Weighs out to closer to 600 pieces, but we'll call it 500. $35 shipped.